summitnaturalgasoffersnewenergyefficiencyprogramaimedatreducingcustomercosts - Summit Utilities Inc.
MISSOURI – Summit Natural Gas is bringing its successful Excess is Out™ program to Missouri, launching a new energy efficiency program focused on reducing home and small business energy costs for customers. Summit customers can take advantage of this new program by scheduling an energy-efficient equipment installation with a local contractor and then filling out Summit’s simple and easy rebate forms. 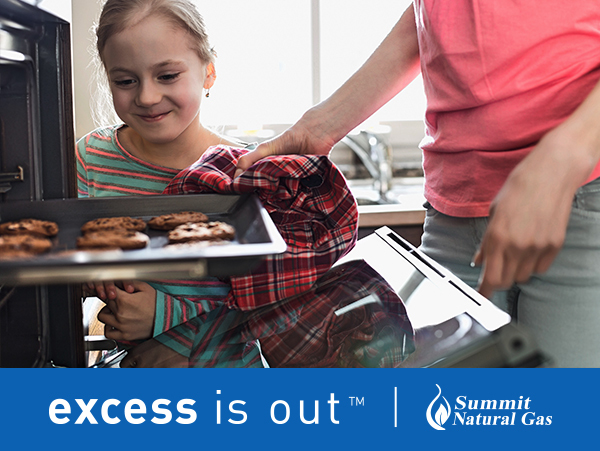 For additional details, access to the rebate forms and more information about our new energy efficiency program, qualifying appliances and smart thermostats, and more, please visit www.summitnaturalgas.com/excessisout.